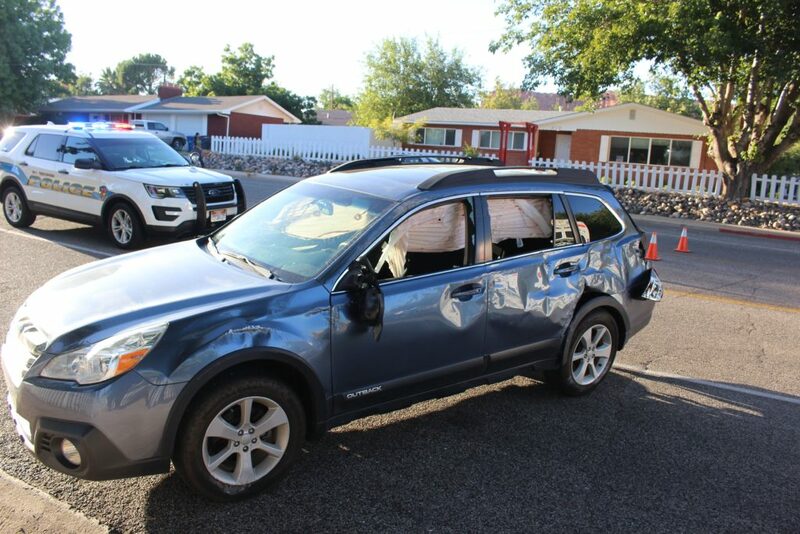 ST. GEORGE — A female driver was taken to the hospital Tuesday evening after she ran a stop sign just after 7 p.m. and struck another car, causing the other car to roll on its side. 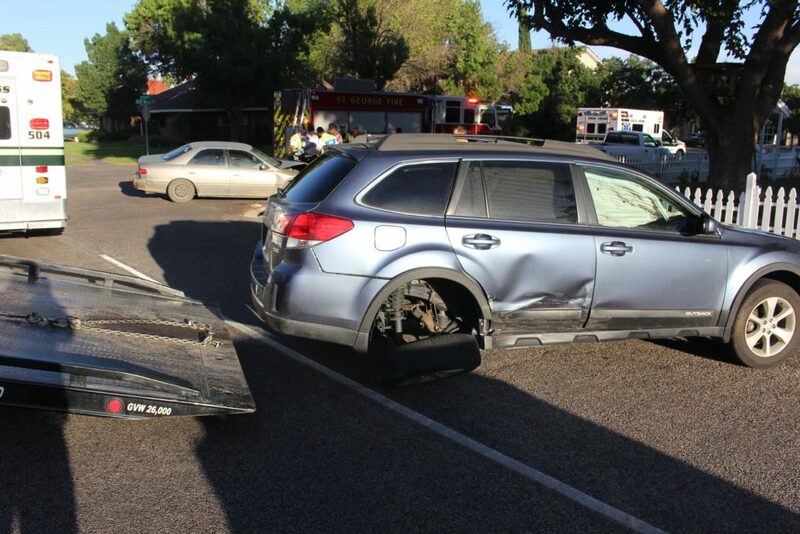 The Toyota Camry struck the Subaru in the left rear side, causing the wheel to be displaced and the car to roll over. 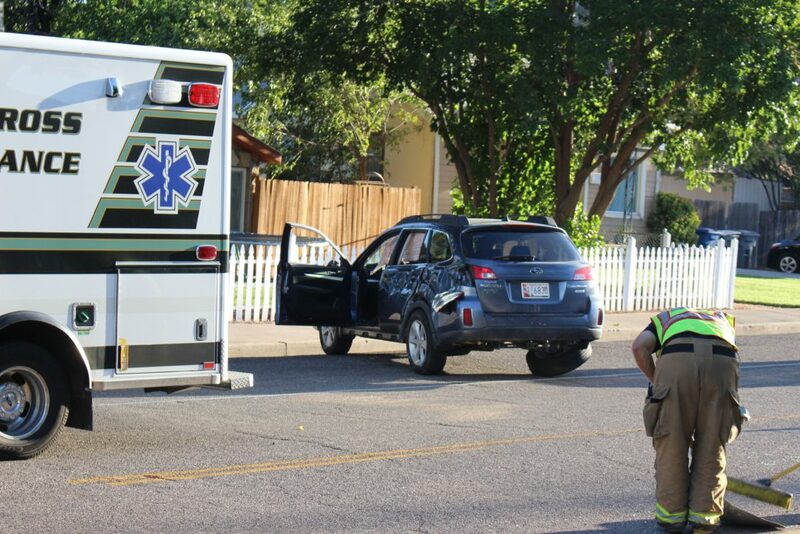 Holmes said the driver of the Toyota Camry was injured with what appeared to be a fracture to her left arm. Her passenger, Tanner Hughes of St. George, complained of knee pain but was not transported. 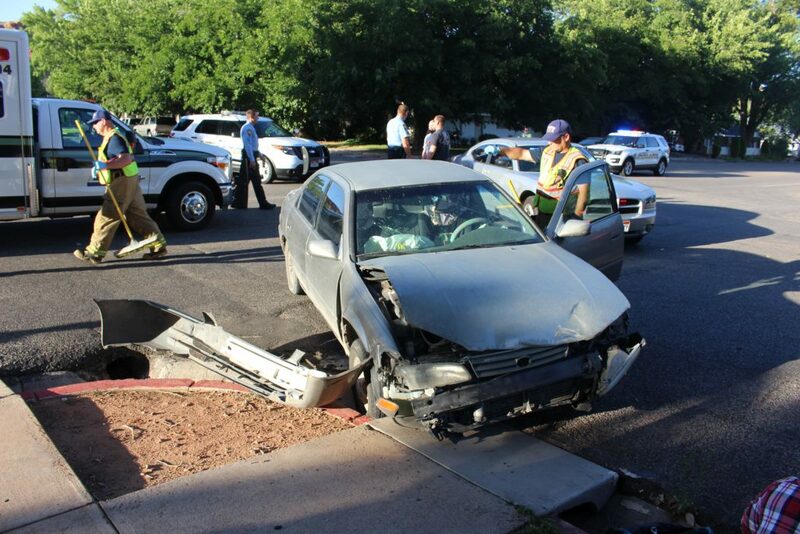 The driver was taken by ambulance to Dixie Regional Medical Center in St. George for treatment. Holmes said she will be cited with failure to stop at the intersection. The occupant of the Outback was not injured, Holmes said. Both vehicles were inoperable and had to be towed. Units from the St. George Police Department, St. George Fire Department and Gold Cross Ambulance responded. Holmes said an off-duty investigator was first on scene. I’m just glad no one was seriously hurt and there was no loss of life. Praise the Lord ! Go to the animal shelter and get a friend !